I can’t believe its March today, February has gone so so fast don’t you think? It seems just like yesterday we were celebrating Phoenix’s first birthday in January! 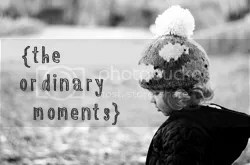 We had a very busy half term the other week too which now seems like a distant memory, this is the reason I love to blog – life passes you by when you least expect itLast Wednesday we had what some people may have as an ‘ordinary moment’. We had a day which was just us five in the middle of the week. Mr booked it off work as he had a test he needed to attend but we made the most of this day as a family – something we would love to start being able to do more often mid-week. Mr works Monday-Friday and sometimes Saturdays if scheduled in. When in season, he plays football on Saturday afternoons which makes Sundays our ‘family day’. Sundays are lovely, but sometimes as it’s the end of the weekend, a lot of preparations for the week commencing are to be done leaving time a little short sometimes. Doing something mid-week just felt a lot more relaxed, and it happened to be on the day that all three little ones are at home, and no pre-school runs were to be made, meant to be or what? This weekend was different as I was at a craft course yesterday so the little ones were with Daddy all day having fun, the first time with all three kiddo’s.. and a first time where I was child-free for like 7 hours. it felt lovely to do something for me, but I also felt a little lost! more on the course soon! Back to our morning in town. So last Wednesday, we had a lovely little day. We popped into town (on time I might add!) for Mr to do his course, while he was there the little ones and I had a slow stroll into the main centre, walking through the Oxford Castle. The girls were fascinated that they were actually walking through a castle! Sporting their little lion & tiger backpacks Grampy got them from when he visited my Nan in Devon last weekend. The lion symbolises Yve’s ‘lion mane hair’, and the tiger is because Halle has a feisty little tiger character! We then popped to have a look around town, got some lovely bargain clothing for the little ones, had fun going in lifts, being silly, giggling at each others conversation and waited for the phone call from Daddy to say he was finished and ready to meet us for breakfast. We went to a lovely little spot called Cafe Loco. This cafe holds a fair few memories for us, good & bad, but its safe to say that we’re making a lot more good memories in this cafe thats for sure. We indulged in some delicious breakfast. It was so lovely to just spend time doing such an ordinary thing, something we haven’t done in a while mid-week. We like to get out at the weekends too, but this particular day felt so relaxed. The kids loved spending time with both Mummy & Daddy. We enjoyed our food, and lovely drinks – the girls were so chuffed to have their own massive hot chocolate with marshmallows and cream – cafe style! Baby boy was loving watching them being crazy, and tucking into a fruit pot and stealing Halle’s sandwich! this was before Halle accidentally spilt a fresh latte all over the table – we we’re lucky only this happened! ha. I really hope we get the chance to have more spontaneous days like this. We feel so fortunate to have spent this lovely day together, We will be hopefully hearing of a moving date this week *fingers crossed* so it’s going to be all systems go! We will definitely make sure we continue having our family days scheduled in, made a priority still, even if it isn’t a weekday for a while, weekends mean lots to us too! We then took a stroll back into the main street before heading back to the car to go home and resume our relaxing day together. They found it hilarious to run off and hide from Me & Phoenix and jump out at us!